Today’s sketching excursion to Mānoa Chinese Cemetery (Honolulu) was one of our less well prepared outings. Harald forgot to take his set of Micron pens, AJ was accosted by an over-friendly chicken, and neither remembered to bring a camera to document the event. In true USk fashion, we tried to make the best of the situation anyway. Although today’s sketches (chicken! tree!) may not have captured the most iconic sights, we had fun and gained a serious appreciation of the beauty and special character of our location. Definitely a destination to return to. The photos below were taken later in the day when we briefly returned to the cemetery – this time with camera. The aspect that I enjoy most about the Urban Sketchers (USk) organization is its worldwide network of artists. When I traveled to San Diego recently I was fortunate to go at a time when the local group had scheduled a weekend event. For this reason I was able to cross paths with my fourth USk chapter. 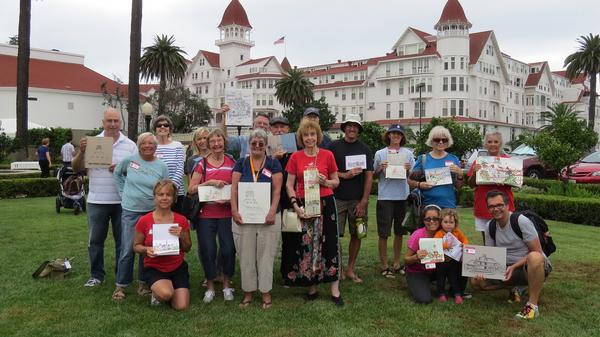 San Diego Urban Sketchers held their 10/18 meetup on Coronado Island. The weather was accommodating, the scenery was captivating, and the company was incredibly welcoming. As usual, I was blown away by the artwork exhibited at the show-and-tell session toward the end of the get-together. 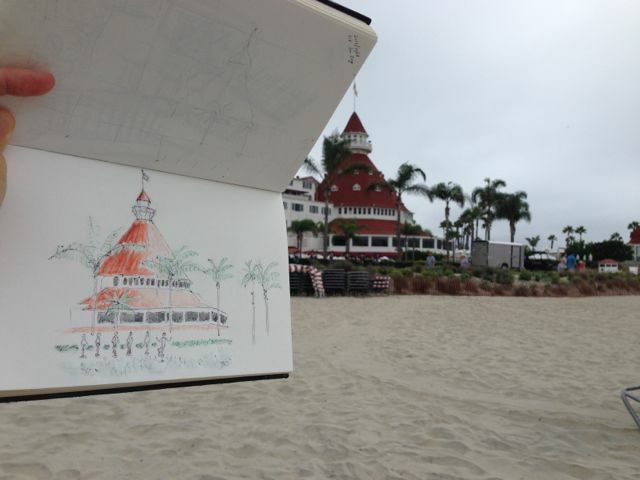 My sketch was of the west side of the historic Hotel del Coronado … and includes an attempt to capture a spin class that was being held outdoors that morning. 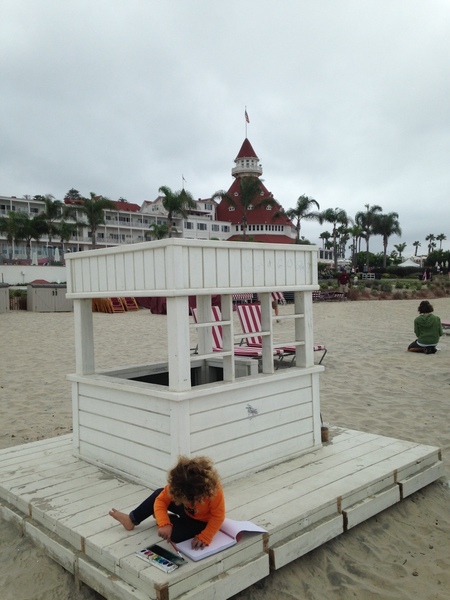 The employees on the beach were very accommodating as I crouched in the lounge area to sketch the scene (green sweatshirt in background). I hope to visit this group again and I encourage fellow sketchers to look for local USk chapters wherever their travels take them! Despite former Tropical Storm Ela passing the islands this weekend, we lucked out this morning with good weather at Kewalo Basin Harbor. Not that we were totally unaffected: we know of at least one person who was unable to make it because of poor weather elsewhere. The setting at the harbor was pleasant though, with moderate tourist activity, generally involving diving, parasailing, and pirate-ship tours. We struggled again with attendance this weekend and had only six participants. Despite the low numbers we spent a productive 1.5 hours sketching a variety of scenes in the harbor and then shared our work with each other. Even with a small group, the post-sketch discussion always offers great opportunities to compare our various drawing styles, backgrounds, and equipment (micron pens, different pencil leads, and paper thicknesses). Having experienced active and vibrant Urban Sketchers communities on the mainland and elsewhere, we remain committed to our goal of developing a similar group here. We hope former participants will keep coming and new / curious artists will check us out! Our next event will be on Saturday, August 8, so save the date on your calendar. For the second time this year, at least one of us was able to make it to the San Francisco Bay Area Urban Sketchers‘ First Thursday event. It was held in Berkeley at Pedro’s Brazil Cafe & Westbrae Biergarten and was attended / hosted by a very welcoming crowd, as usual. After settling in, I looked for subjects that were challenging with regard to depth / perspective and began my work. For reasons that are still somewhat mysterious to me, some of the children playing in the outdoor area found me quite captivating, and I fielded many questions about what I was doing, when I would start my next sketch, and why I was not using colour. After some time the nearby parents rescued me (though I will admit that I enjoyed talking to the young’uns) and I continued with the mission at hand. It was a pleasant evening with many subjects to focus on … from the swiftly moving to the stationary! One of the evening’s high points was the show-and-tell session; the sketches exhibited were impressive and intriguingly variable in the styles presented. As before, I left inspired and anxious to continue practising. Two of my sketches are included with this post. Well-blended sketchers, patrons, bandeira do Brasil, and barrels. Sketch of handle that operates the umbrella / sun shade. 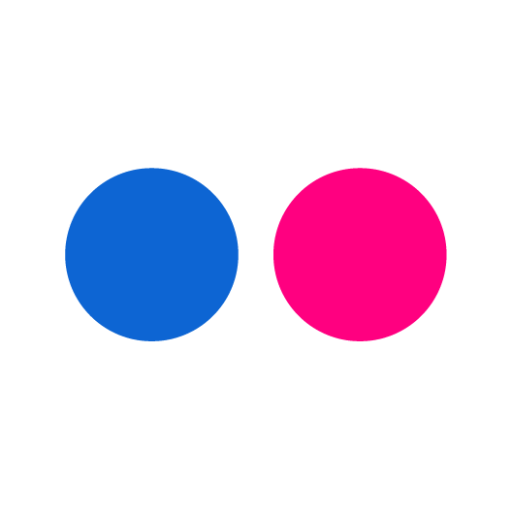 This post is related to art supplies rather than a sketching excursion. One of the artists who attended our event on 11/15 mentioned a DIY (do it yourself) miniature art kit which was very intriguing to me. I want to sketch when traveling but don’t like to carry a lot of weight or bulky items. The DIY aspect seemed like a particularly appealing challenge especially for creative people – how to put together a customized and relatively inexpensive kit? After browsing a variety of websites for ideas, I decided to start with the basics … an Altoids case. I purchased the mints at a local market and emptied the contents for future disposition (I’m not so keen on bathing my teeth in sugar!). After taking some measurements of the case I thought about my personal art habits and started to research whether the appropriate supplies are available for purchase in small sizes or able to be modified to a smaller presentation. I was quite surprised as to what is available “off the rack” … for example: crayons, watercolour pencils, pens, water vials, and watercolour paint sets. After acquiring a sample of several items, I played with their fit into the Altoids case. With thought, quite a few items can be positioned in such a small space! At this time, I’m not sure what I want to include in my kit as I am a novice artist and haven’t developed strong preferences yet. But, the beauty of this arrangement is that it can be customized as tastes change. I included some photos of several arrangements in this post. It might not be clear, but some space was left for missing items I have not yet trimmed to size (chamois cloth, sponge, eraser, graphite pencil, etc.). I’ll publish a follow-up post when I have had some time to play with this setup a bit more. In the meantime, please share your ideas if you would like!